Nothing Scary About This Week’s Weather! Our ridging weather pattern is still in place this weekend which means warm temperatures, dry conditions and light breezes across the area. We will continue to see record breaking warmth on Friday followed by slightly cooler but still mild conditions the rest of the weekend. 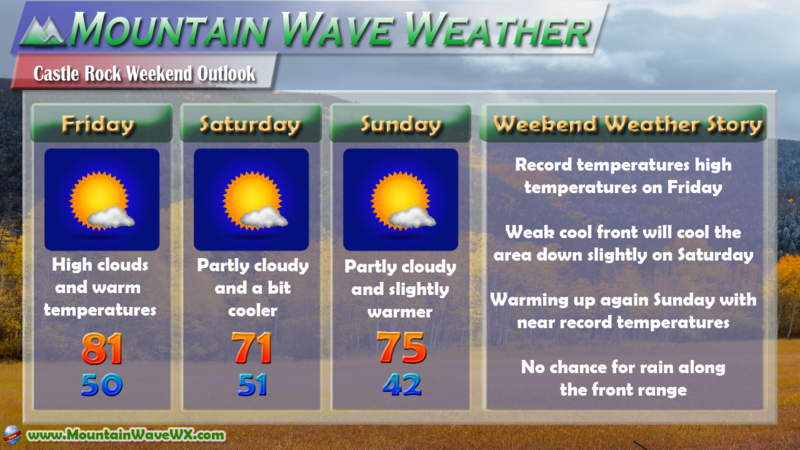 Overall, a great weekend to get out and about! This temperature anomaly map shows how much over or under average temperatures are. 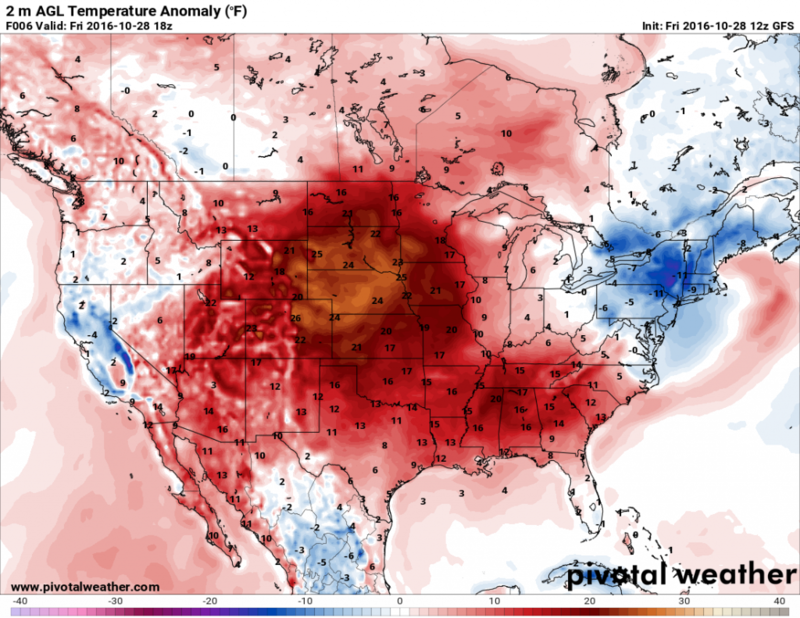 The image above is for Friday at 12PM, notice the large swath of very warm air across the Central and Southeast United States. The heat is indicative of our large upper level high pressure system, drawing warm air out of the South and Southwest and into the country. The jet stream typically migrates Southward out of Canada this time of year, allowing cooler air and a more active storm track, so far it remains stuck well North of Colorado. 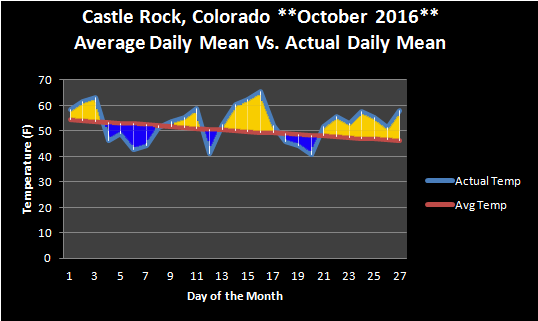 We don’t anticipate any major changes to this pattern for the next 7-10 days in Colorado.